Many studies indicate that the ideal temperature in a work environment is of 70-72 degrees Fahrenheit. But the results of these studies do not always take into account some important aspects. First of all, men and women perceive temperature differently and feel comfortable at different values of it. According to a study from 2015, a woman`s body is more sensitive to cold, as the female body has a lower metabolic rate and also a lower percentage of fat. Age also changes the way we perceive temperature. As we get older, we are more sensitive to cold as well as to excessive heat. The office building itself also influences the way indoor temperature is perceived by people who work there. Buildings with large windows benefit from sunlight and heat up faster. In this context, to keep a perfect temperature all year round, you should have a modern HVAC system that makes it easy to adjust the temperature in any season and maintain thermal comfort. Such systems have thermostats that can be used to set the temperature at the desired level. Last but not least, humidity influences the way we perceive temperature, so it must be kept between 50-55%, so that all employees feel comfortable and experience no allergies, irritations or other problems related to the respiratory system. For heating and Denver HVAC services, call on Pasterkamp. Winter proofing your home heating system is something to do before the arrival of the season, to ensure its proper functionality when you need it most. You will surely be thankful later for being so proactive. 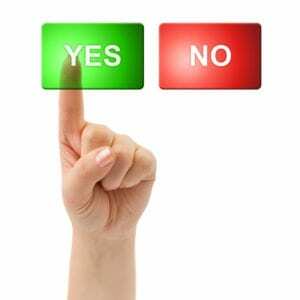 Do not be reluctant to switch on your home heating system until necessary. Turning it on earlier, even for a short time, will allow you to identify potential problems and repair them in time. Air build-up in the radiators is a frequent occurrence while the system doesn`t work and, when you finally turn it on, you notice that some radiators remain half cold. You can deal with this problem easily, by bleeding the radiators. Annual inspection and maintenance are very important operations. Bring a registered engineer to perform them and the potential remedial works, before the arrival of the winter. Your central heating system may freeze during the cold season, which will prevent it from working properly. Insulate your external pipes, or have them re-routed internally. Adding an inhibitor to a central heating system is a common practice to reduce limescale build up and corrosion. 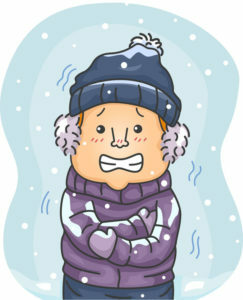 For repair to your home heating system, see https://www.pasterkamp.com. 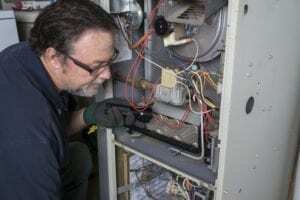 Does Your Gas Furnace Need Maintenance This Winter? Any system used for heating during the winter needs regular inspections and maintenance from a professional furnace repair Denver CO company. Gas furnaces are no exception, considering that we must eliminate any possibility of carbon monoxide buildup or hazardous natural gas leakage. Not to mention that we need a fully functional system to provide us the comfort we need during the cold months of the year. Here is a list of maintenance operations to do this winter. Air filters frequently get clogged and, as a result, the furnace overheats and ultimately shuts off. Make sure to change your filters in time, to avoid such problems. In winter, the thermostat must be set to the “heat” function and the temperature has to be set a bit higher than you want it in your home. A critter, a bird or ice buildup can block these pipes, so take them apart and clean them. Sometimes, you may notice that some rooms remain colder than others. In this case, you must check the cold-air returns; they are likely blocked and the air remains cold because it cannot return to the furnace to be reheated. If you are not comfortable with doing these operations on your own, it is best to leave them to a pro. Winter is here already, with cold temperatures and snow in many regions, as well as with higher costs for maintaining the thermal comfort in your house. 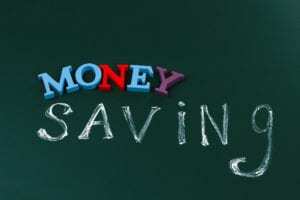 Here are some tips on saving on your heating bill this winter. Insulate the windows by sealing them with self-adhesive sealing gaskets. In the case of windows with wooden frames and single glass, heat losses through non-insulated spaces are significant, totalizing more than 30% of the total heat loss. Adjust the temperature in your home according to the level of comfort you need, taking into account that above the temperature of 19 ° C, each extra degree means an increase of the heating bill by about 8%. Open all windows for a short while, to allow fresh air in, Heat losses are very high if you leave the windows open for a longer time. Ensure that radiators are not covered by anything that may block heat exchange. Use a thermostat. This item controls the operation of the HVAC system and is able to reduce the heating costs up to 20%. Add thermal insulation to walls, roof and windows, for savings up to 50%. Periodically check the HVAC system for imperfect contacts, insulation faults etc, call on Pasterkamp in Denver for system maintenance. 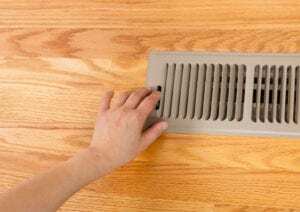 What Are Forced Air Heating Systems? There are two main heating systems: radiant and forced air. Radiant systems are more efficient, but installation is more complicated and may be unsuitable for certain homes. On the other hand, forced air systems use a furnace to heat the air and blow it back into the house through a duct system. You set the thermostat at the temperature you want to have indoors. The forced air system then pulls in cold air from the house, passes it through filters to remove allergens, warms the air by passing it through an air handler and then blows the warm air back into the house. This heating process is started automatically and repeats itself every time the temperature goes below the level set at the thermostat. The air is not just warmed, but also purified from airborne particles and allergens that could make you sick. It can be used with a humidifier or dehumidifier, if you feel like changing the existing humidity level. Efficiency ratings of modern systems are higher than 90%. Talk with a professional HVAC company to determine which type of heating is right for your home, see https://www.pasterkamp.com. It is already known that a house without proper thermal insulation will quickly lose heat, in the cold season, regardless of the installed heating system. This translates into frequent variations in temperature that cause thermal discomfort, as well as in high bills. Did you know that a house can lose up to 35% of the heat through a ceiling that has not been insulated? We can also add heat losses of up to 25% through walls, 20% through flooring and windows, while 25% is lost because of air circulation. 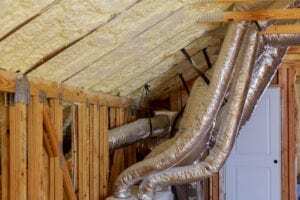 Heat is always directed to cold, uninsulated surfaces, and in this way the temperature inside the house decreases sooner, while the heating demands increase. If we observe comparative thermal images of two houses, one insulated and the other uninsulated, we will notice the massive heat losses of the latter. The uninsulated house, seen through the thermal imaging room, will be colored in shades of yellow, orange and red – a sign that it radiates heat and therefore loses it. On the other hand, the insulated house will be colored in blue, which means that it keeps heat inside and hence reduces consumption and, of course, the value of the heating bill. Efficient house insulation means not only lower heating costs in winter, but also a reduction in electricity bills during the summer, when we typically turn on air conditioners, to cool down. 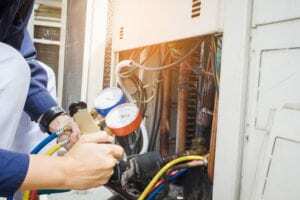 If your HVAC systems are not operating as they should, contact a furnace repair Denver CO technician as soon as noticed, so repair costs remain low. As the cold season approaches, it is time to check your furnace and see if it works in normal parameters and looks able to withstand the heating demands throughout the winter. Early preparations will ensure that you do will have o problems with the furnace, the device that provides you with the heat and domestic hot water you need to deal with the cold weather. November is a very good time for making the necessary verifications and repairs; these must be performed by an authorized company. The gas or energy consumption must be optimized and, if you do not want to pay extra money, it is also time to check the correct operation of the furnace`s elements, as well as its pressure. For long-term operation without too much trouble, energy fluctuations must be avoided, thus we recommend installing a voltage stabilizer. The preparation of the furnace for the cold season also involves the identification of any defects that may lead to accidents: checking the radiators, the gas and water supply, the batteries of the thermostat, the valves of the furnace and the radiators, as well as pipes, drainage and filters. Any irregularities need to be repaired quickly, so the cold season does not catch you unprepared. Find the best help available at https://www.pasterkamp.com/heating/denver-furnace-repairs/. All appliances have a certain lifespan and, eventually, you will have to replace them with new ones. Furnaces are important for the buildings where they are installed, so they must be fully operational, as long as they are used. They typically last up to 20 years, but their durability depends on the model, the regular maintenance and other factors. How can you be sure that it is time for a new furnace? First, if your furnace is already 15 years old, you can start planning a replacement. Even if it still works, a furnace that is too old loses its efficiency. If you have spent money on several repairs lately but the furnace doesn`t seem to be as it used to, it may be another indication that a replacement is in order. Constant noises like banging or popping typically appear close to the end of a furnace`s life. Old furnaces may emit small amounts of carbon monoxide gas, which can cause headaches, nausea, burning sensation in the nose and/ or in the eyes etc. ; in larger amounts, it can be very dangerous, so do not hesitate to call Pasterkamp and have them replace your old furnace. How Long Do Furnaces Last? Furnaces are popular appliances used for heating air or water and circulate it in a heating system, throughout a building. They are fired by gas or oil. When you consider installing such an appliance, one of the most common questions is how long it will last. A very legit question, considering the investment… The average lifespan of a furnace is up to 20 years, although it may vary significantly. There are people who claim to have 30-year old furnaces that still work great and, if this is true, they are lucky. However, there is no guarantee that your furnace will also last that much. Actually, after 15-16 years of use, you should be prepared to replace it, as the signs of age are likely to appear soon. Besides, an old furnace may work, but it does not mean that it is also efficient; it will likely use more fuel and energy. When you replace your furnace, make sure that you install a new one sized adequately for your house, as this is an important factor that influences its efficiency. Do some research on some of the Denver HVAC sites to determine what furnace will work for you. There are different models of furnaces and they may reach old age differently – some better than others. To increase their lifespan, contact a professional technician and schedule a regular tune-up, once a year. 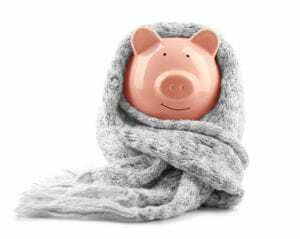 Considering that cold weather fully reflects in the heating bills, it is important to know some simple tricks that will help you make some savings and the best part is that they only require minimum investments. Take advantage of the thermostats mounted on the radiators and set them to the minimum temperature, before you leave the house. Tip: Do not forget to leave the windows closed, otherwise you will find your home frozen, on your return. Have a Denver furnace repair technician out to clean your furnace, especially before the cold months, to keep your furnace running efficiently. Programmable thermostats that control heating systems will make your life easier. These can be set to change the ambient temperature depending on your schedule and the time of the day. For instance, you can set it at 20 degrees Celsius in the morning, 17 degrees when you leave home and at 22 degrees when you come back. This way, you will not have to operate these temperature modifications every day and, most importantly, you will not forget about them. Setting the temperature just one degree lower can save up to 3% on the heating bill. Daily ventilation of the rooms is extremely important for the indoor air quality. However, before opening the windows to allow some fresh air in, do not forget to close the thermostat, otherwise you will only waste heat and money. Does Location Matter When Installing Air Conditioning In Your Home? How Often Should You Use Your Air Conditioner?